Our customers often come to us with amazing ideas and visions of what they would like us to create. This commission was no different and truly spectacular. Our customers provided us with seven old rings that they had but no longer wore. We used this as a starting point to create something brand new combining all of the stones from the previous rings and some of the metal. Designing something we had never created before with their love and passion for this project evident to all the Timothy Roe staff. Tim began by drawing up the ideas for both the engagement ring and wedding band. 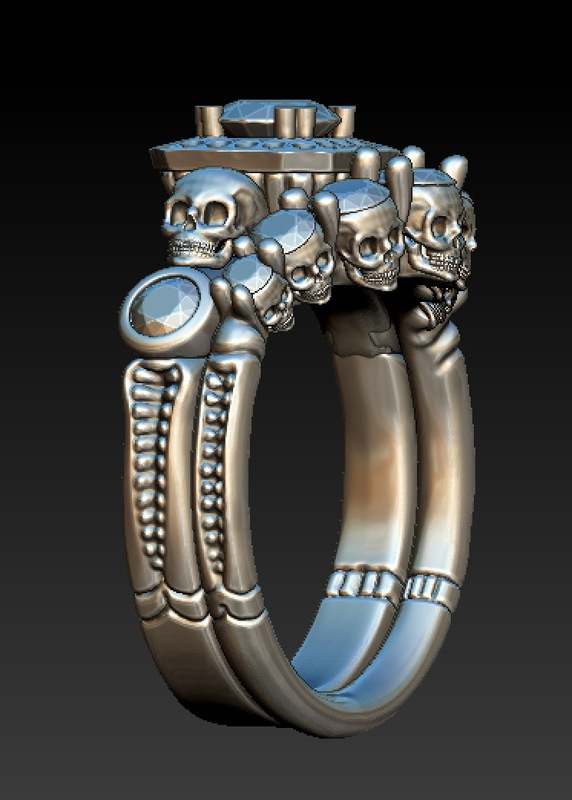 These were then designed using CAD software allowing us to fit the two rings together as a set. Once our customers had the design confirmed our casting house was able to cast the rings in 4 separate parts. This allowed our goldsmiths a more accurate clean up and finish on the rings before being set. Creating such amazing rings for a wonderful couple was an absolute pleasure. They wanted something bespoke and individual with luxurious decadence, this is certainly evident in their finished jewellery. We created some truly spectacular pieces for Georgie and Smudge. Head to our Instagram to see a small video clip of the delicate and detailed work that went into creating these two rings.